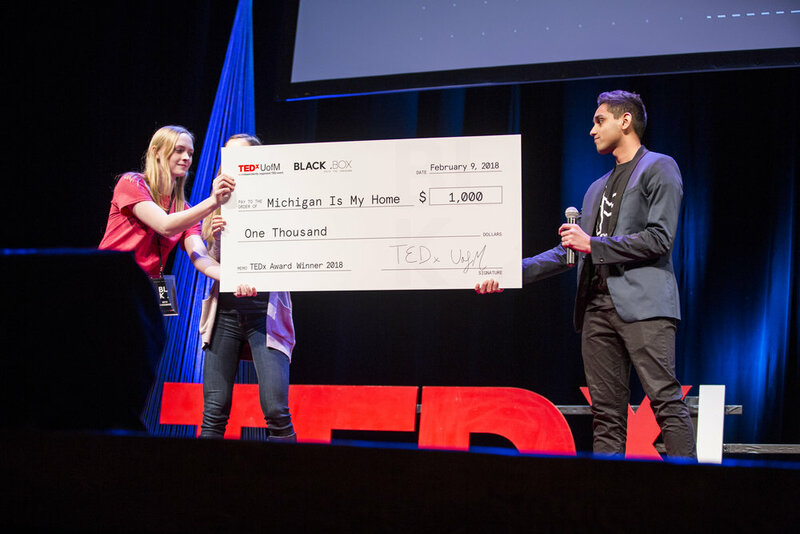 Hussain Ali and Payton Watt both received the 2017 optiMize fellowship, which included a $6,000 summer stipend and the amazing opportunity to work, innovate, and collaborate with the optiMize team to further develop Michigan Movement. In addition to their fellowship stipend, Michigan Movement received a $5,000 project grant from optiMize, which was used in summer 2017 to implement more sustainable projects, generate social justice awareness, and foster community relationships in order to provide long term relief to this vulnerable population. 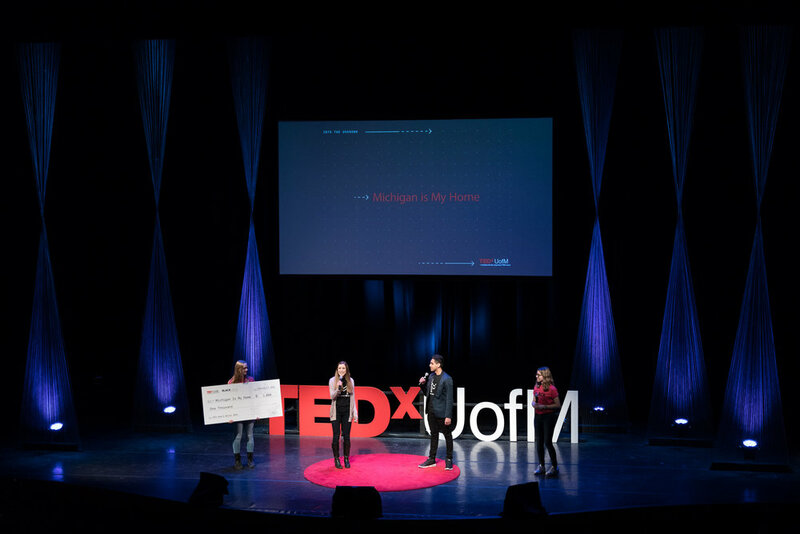 Thank you TEDxUofM for providing us with the opportunity to share our ideas with the U of M community. We're pleased to receive the 2018 Award For Innovation, which celebrates putting imaginative and ingenious ideas into impactful action. We are grateful for our dedicated members and community contributors who have helped us grow so much this past year. Through sustainability, innovation, and collaboration we look forward to continue making a difference in our community. Michigan Movement was the only undergraduate student organization that was recognized at the SPH Student Leadership Ceremony with the award for community engagement. We at Michigan Movement are proud of all our hard working members and excited to continue our partnership with the University of Michigan School of Public Health.